We are currently seeking to fill the position of Finance Manager. The aims and objectives of this role are to exercise managerial control and maintain accounting practices in line with legal, commercial and corporate requirements and obligations. The role will provide financial insight, business analysis and forecasting to all stakeholders and is responsible for the financial health of the organisation. The Finance Manager will take a lead in the development of business strategies and plans to achieve the long term financial goals of the organisation. LCC Level 7/8 subject to experience. We are currently seeking an experienced finance service manager to be responsible for budget planning and support the executive team by offering insights and financial advice that will allow them to make the best possible decisions for LCC. Please see the attached Job Description and this can also be found on the LCC website. Please submit applications to the above email address or via the LCC website by 5pm Thursday 7 March 2019. 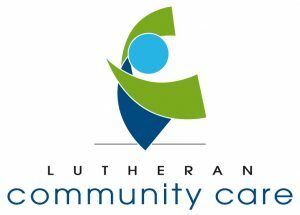 Lutheran Community Care (LCC) provides community services on behalf of the Lutheran Church in South Australia and Northern Territory through a range of programs. We support communities through responding to the needs of individuals and families, community development, learning opportunities, accommodation and support. Current programs include emergency relief, financial counselling, family support and education, foster care, housing and family shelter and refugee services. LCC is committed to reducing barriers and encouraging inclusion and participation in the community of people with a disability, people of all ages, Lesbian, Gay, Bi-Sexual, Transgender, Intersex and Queer (LGBTIQ) people, Aboriginal and Torres Strait Islander (ATSI) people and people from Culturally and Linguistically Diverse (CALD) backgrounds. This role will be based at LCC’s State Office at Sefton Park, however travel to other sites in SA and the NT may be necessary as part of this role.